It is always hard to start something. Even now, before writing this post I have spent almost half an hour on thinking where and how to begin. The same is about website building. You have a dream to create a website, what then? You need to shape the destiny of your future site, i.e. to choose its foundation. You make this crucial decision once and further it will influence on the entire website development process, as well as its maintenance and success among users. So what are the main factors making one website building platform better than another and how you can differentiate them? Price is the number one question for many potential website creators. This is a reasonable question, because if a website builder costs the same as professional development and design services, then what’s the sense to do everything on your own? There are some free website builder choices as well as paid ones, and don’t think that those who use paid ones are fools! Love it or hate it, there is a difference in functionality of both and result you get depends on how much you spend. For example, Site123 offers a website builder that has one free and one paid option. The paid option allows you to connect your own domain, gives you more storage, removes the company’s footer link and gives you some more features. 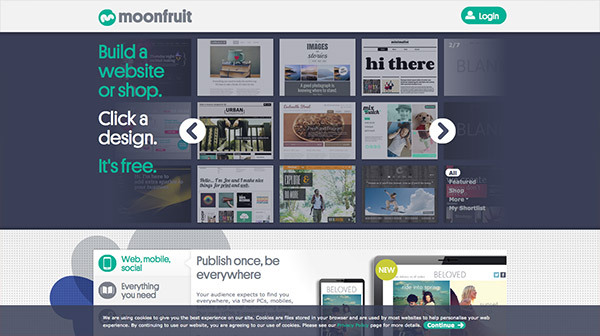 This particular website builder is priced at $8/month, which makes it $96/year. If you consider the fact that a professional website will cost you at least $1000, at $96/year you can run your website for 10 years before you even reach this cost. If you also consider the fact that websites need to be updated every 3 or so years to match the latest design and coding trends, and that professional website builders such as Site123 constantly update their code and design to do just that (without any extra cost to you), then you quickly start to realize that website builders that have a monthly plan are entirely worth it. 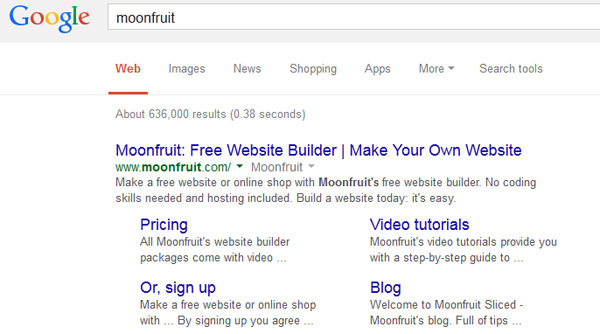 Another example, Moonfruit website builder: if you type ‘Moonfruit’ in the Google search, the first result you see is – ‘Moonfruit: Free Website Builder’. This statement makes users excited. So, you open the website, look through the home page and examine some key features of this builder: mobile-friendly, design control, etc. You pick the design right from a small catalog in the Header and register. To be honest, the features you see after registration are rather limited. After you registered your free template, you are offered to pay for your website to get extra functions. The payment is monthly, so prepare to pay each month for your website no matter how many years you are going to run it! On the contrary, there are builders with transparent pricing, like MotoCMS. From the very beginning of your experience within this building platform, you are aware of the price. Moreover, it is not a usual monthly payment system, but a one-time payment. The company charges you just once for the purchase, all future updates are free. There is a free demo version available and this allows you to get and test full functionality immediately. Especially great this is on the very first stage of making your decision – you can use a free trial, which is absolutely equal to the one you buy. Be cautious with free builders: in a few years their total price may be bigger than the average cost of paid tools. What are hosting options, and are there any? When you are going to pick a website builder for creating your future site, you should think two steps ahead – where would you host the site after you create it? When the website is ready, it should be parked with a host to make it accessible on the web. This means users can find your site by typing your domain name in their browser. Hosting is one of the major factors to consider before you tie yourself with any website builder. Whatever website builder you choose, you will get some sort of website hosting. 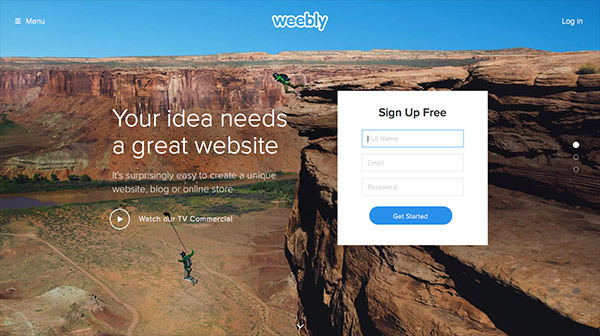 Weebly, one of the most popular website builders, can offer you a free plan with a free domain, yet your own address will go after the company name. It is not a very good choice for a commercial website, though even for a personal website it comes to be a so-so option. Much better is to purchase the domain name on your own and get any address you like. If you are low on budget and decide to host your website on your builder domain, you need to find out how much space you can get within the hosting. Otherwise you can come up with a perfectly done website which can’t be published because of a limited hosting storage. Another thing you need to check is how much bandwidth you can get. If it is not enough, your visitors wouldn’t be able to see the website. Website builders that hard-sell their own hosting may have something to hide from you. Before a deal, make sure you can turn to another host when you want and your template will still work. Is this builder easy to use? 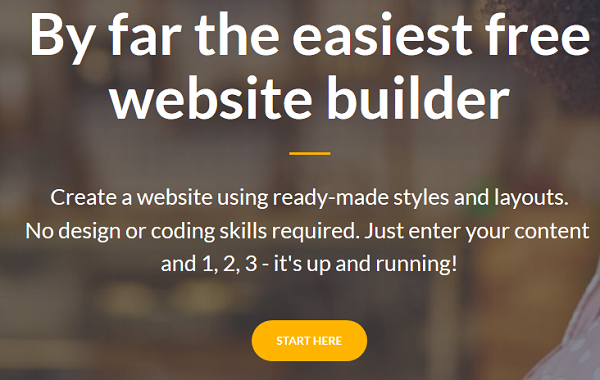 Almost all site builders claim they offer a super easy way to build a website. Is this true? For whom these builders are easy – beginners or advanced users? The main reason for you to use a website builder is because it doesn’t require coding and programming skills. The wisest decision you can make is to test the builder first, and clarify everything for yourself. You need to be sure the website builder is simple enough for you to make a fully-functional website and change the template completely to overcome the branding issue (when your competitor use the same template and both of you left the design as it is). Sometimes it is pretty much clear for users whether you made your site with a DIY builder or not. How do they know it? Because many of such sites looks similar, and what is more disappointing they are horrible from design perspective. There are two major causes of it: lack of talent from your side, and lack of customization options from a builder. If the main changes you can apply to your template come down to content replacement, colors and fonts editing – give it up! Such a builder is not for designing a nice and unique site. A good builder is the one with many advanced options like custom background settings, a huge range of fonts to pick from, spacing and margins editing, entire page design editing, etc. Also, a user-friendly builder may offer you to preview the changes you make right in the window where you do it – not first confirm the changes and enter any kind of preview mode. This feature helps to avoid a number of mistakes and save your time. Does it suit your goals? What are you going to build a website for? To do business online, to promote your services, to share experience with users, to find potential clients or partners, to organize a charity fund, or? You may have tons of reasons to build your own site and this is a crucial criterion to choose a website building platform. So, there are two big types of site builders: ‘universal’ and ‘niche’. The first provides templates for any kind of business or personal needs, while there are tools for a specific industry. Photography websites differ from small business sites in terms of design and of course functionality. Many of those universal site builders can’t offer you all functionality you need for your portfolio website. On the contrary, photography-oriented platforms allow you much more functions for your project. There are such portfolio website platforms as Defrozo, Portfoliobox, Zenfolio, etc. 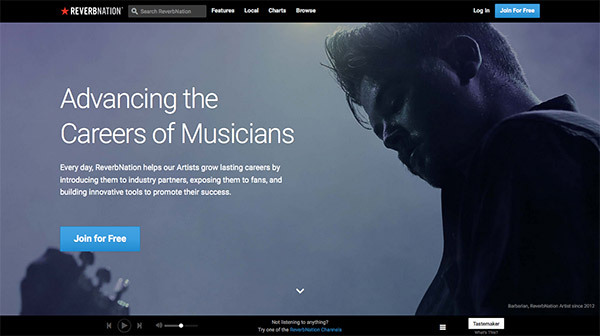 The same case is with music website building platforms. 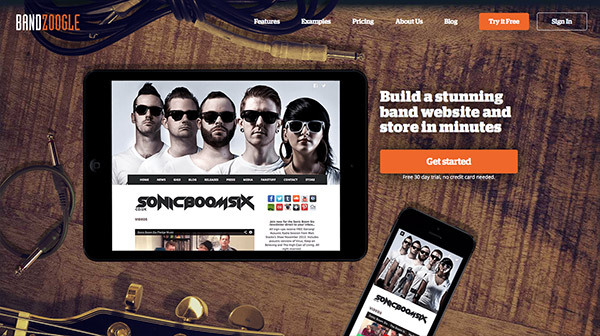 There some specific tools like Bandzoogle or ReverbNation as well as such “monsters” as Wix or Squarespace which also have music website templates. But this is not the same – niche builders include to their functionality only those features you need, but universal tools are often overburdened with tons of features for everyone and this may be too much for you. Does it offer a good choice of designs? Choice is essential. When you decide to develop your site on a website builder, you pick the design you like, right? You can’t predict the final result, I mean, how cardinally you will change the design, so you pick the one you like initially. You estimate the layout structure, the content arrangement, the pages’ design, additional items as buttons or links, also the navigation menu, etc. You would better deal with website builders that provide a big variety of designs for any category. 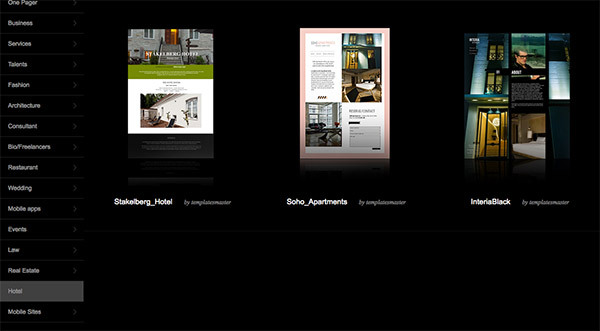 As an example, let’s imagine that you are looking for a hotel website template (just the first thing came to my mind). Do you think 3 templates are enough to make a choice? 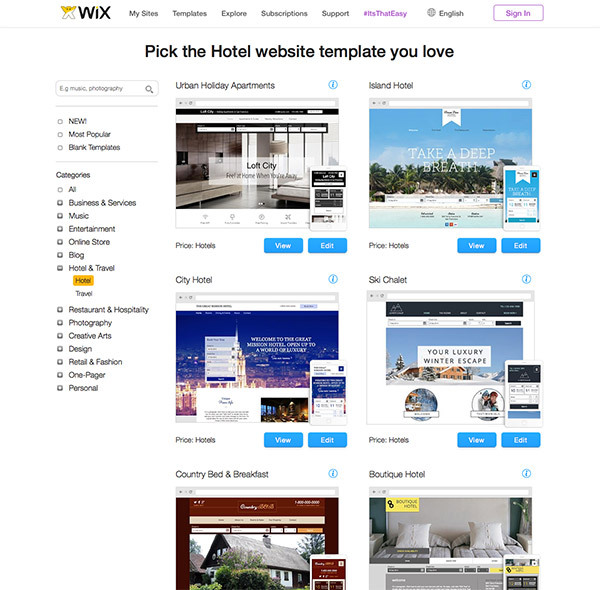 This is how the hotel templates category is presented by IM Creator. 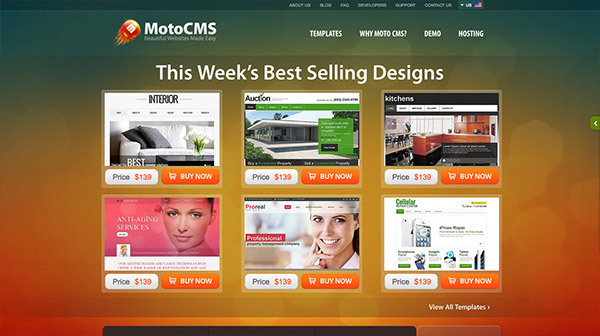 Otherwise, you can take a look at 15 themes designed by Wix or 29 templates from MotoCMS. See how different website builders are in ‘choice’ aspect. Is there enough SEO functionality? It is never enough just to build a website, it is essential to promote it, force it to success and get much web traffic. This is how SEO works for your site – it gives you ‘extra points’, get your site higher in search engines and help you left competitors far behind. A well-optimized website facilitates your communication with users, it builds your brand awareness, and above all, it allows people to find you on the web. 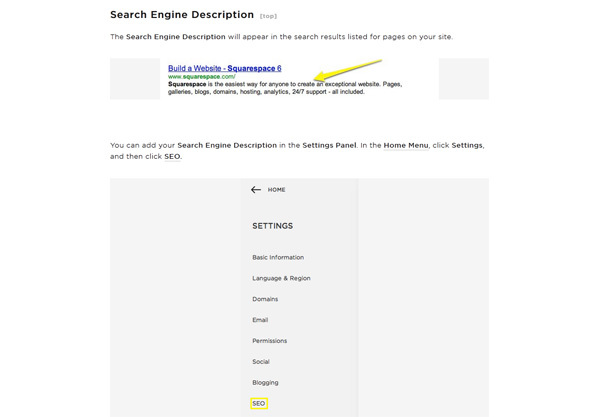 When you start making your website within a builder, you should not forget to check how its SEO works, if it does. There is a thought that website builders can’t offer you something great in SEO aspect. Probably I should agree with it, but site builders can handle some basic features for sure. If you don’t have extra budget for SEO, builders’ functionality may be enough for you, at least to get started with your online presence. Website builder should allow you to add keywords, meta tags, meta descriptions, activate Google Analytics and Google Webmaster Tools for your site, also generate a sitemap. Squarespace includes clean HTML markup, which is important to get your content organized for its better understanding by search engines. Squarespace generates tags for you and this helps you to overcome the duplicate content issue. This builder has an automatic Robots.txt generation, as well as it generates sitemaps. Along with benefits, Squarespace has drawbacks. It doesn’t mean enough custom functionality – the add-ons are limited within Squarespace. Also you won’t be able to add custom meta tags to your site. Can you make a responsive site within this builder? We live in the mobile era, when all our life is ‘embedded’ to a smartphone: it’s how we work, communicate, relax, etc. Usually, websites are reached from mobile devices, rather than from desktops. A website can’t be fruitful when it’s not visible on mobile screens, so responsiveness is one of the top factors to influence on your decision. There are three options you may face when discovering various site builders: non-responsive, responsive, mobile site version. The worst deal you may get is to build your site with a fully non-responsive builder. Better but not too great is to make your website in two versions: desktop and mobile. Literally, these are two different sites and you need double efforts to build and run them both equally. The best way is to choose a responsive site builder, which makes all work everything instead of you, i.e. customize your desktop design to mobile automatically. Today, more and more builders become responsive, you just need to search and decide which one suits you best and has all other functions you need for site development. Julia Blake is an experienced writer of many articles related to web design and development, usability, trends, inspiration, etc. She likes learning and sharing her knowledge with others. Follow her on Twitter. Website builder plays an important role for accomplishing the strategy of making excellent online presence. Most of these ‘free’ website builders either keep the best features as free or require some sort of monthly payment. Biggest issue is that if you aren’t very good at web building/design yourself, it’s always going to look a bit amateurish however cheap the app is! The main question that rises is that if you can make it responsive or not because this is the era of people shifting from PCs and laptops to smart phones and tablets. So, the responsive web design is the biggest thing to look forward to. This is a great article because this is such an important subject area to a lot of brands and companies. Getting the website right and making it as compelling as possible is a real trick to pull off. this post is good for me. Great article. Choosing a right website builder is the really very important. Great article. Thanks for sharing. According to my opinion these all principles are really important for every web developer and web designer, when we are choosing a website builder because CMS is really important. Everything is very clearly described here. Thank you Julia for sharing your tips. I’m sure we will all have more than 8 questions when building website> No question your 8 tips are the No1 to start with. Thank you very much for this nice guide dude. Thanks for this list, looking very promising. Great article Julia, there are so many free site builders advertised that are not free in the long run. I have a saying that the free stuff usually costs more. Especially when it comes to intellectual property. Consideration should be given to who owns the content that is uploaded to a free website and can it the site be self-hosted. These all questions are necessary and i think its also important to ask when we are choosing a website builder because CMS is important to the customers and here you described it very nicely. Thank you for this article! Awesome share, there are definitely a lot of factors to consider when using a website builder. Great for beginners! Good tips, a CMS is very important to the consumer so I would only recommend the builders that offer free trials so you can play around before you actually commit to something. Nice list Miss Julia. These would be a helpful guide for beginners who wanna start a website but don’t have such amount of money to start. Thanks for this list, looking very promising. I have a question though, does any of these have this feature to create input forms? Thanks for your question, Cathy. Honestly, I haven’t used all builders in practice. But contact forms (if you mean that) are possible to create almost with any of them – at least MotoCMS, Wix, Squarespace. One of the most pressing questions you should ask is ‘can I get my data out of this builder?’ Services and companies come and go: when a company goes bust/is acquired and your website faces imminent ‘sunsetting’, can you export your three years worth of posts and pages in a useful format? I have used moonfruit in the past and i must say that it’s quite good. I was very happy with the product but squarespace is ever better than that. Thanks for sharing your experience. 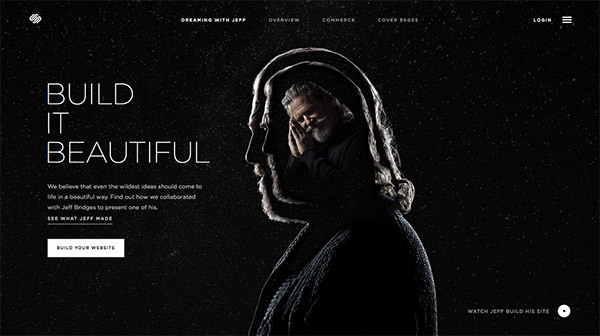 Just interesting, why do you find Squarespace better? Is it more functional, user-friendly, faster? How about Webflow? I’ve been using it for a few projects and it’s really powerful and easy to use. I pay a monthly/yearly subscription fee to webflow for hosting, which is cheaper than some regular hosts, so cost isn’t bad. And they do have a descent enough free version. Actually I appreciate this article, wordpress are not the be all and end all. They shouldn’t have the monopoly and like Julia says there are other platforms out there. Russell maybe you will see a automatic icon generator article soon. Maia, there has obviously been a fair amount of work put into this article, and if you find it interesting, then it has served its purpose. I agree with Jack’s comment above, pretty impressive to get this down to 8 points! Personally I like Shopify as a solid e-commerce platform, but probably only because I’ve got my head around it and it’s now just easy to get started with it. Should probably look into the likes of Weebly! I thought line25 was for professional/serious web designers. I would have preferred articles about frameworks and maybe CMS, rather than online website builders. What next, an article by Chris on automatic icon generators? not even a mention of WordPress? It’s surely got to be one of the most widely used platforms? Thanks for your question! I agree with you, WordPress is one of the most popular platforms. Yet, there are tons of other tools with even better functionality. I didn’t want to include WordPress into this list, because everyone already knows its pros and cons, right? And here I described some really great builders, which are more reliable in terms of security, are very simple for beginners and are more functional than WP.